Add a splash of fancy footwork attitude to your charm bracelet with this sporty CHARM IT! 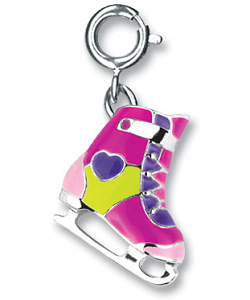 Ice Skate charm. 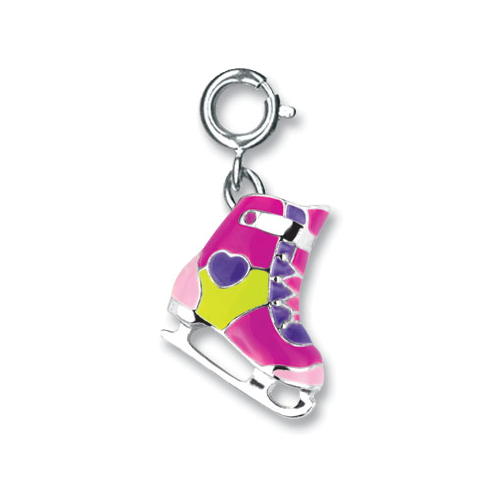 With a shiny silver boot covered in colorful enamel of hot pink, light pink, purple, yellow, this delightful Ice Skate charm has wonderful detail in its laces, heart details, and shiny blade, adding fun and elegance to your charm bracelet. With a simple snap of a clasp, you can personalize your CHARM IT! jewelry with this vibrant CHARM IT! 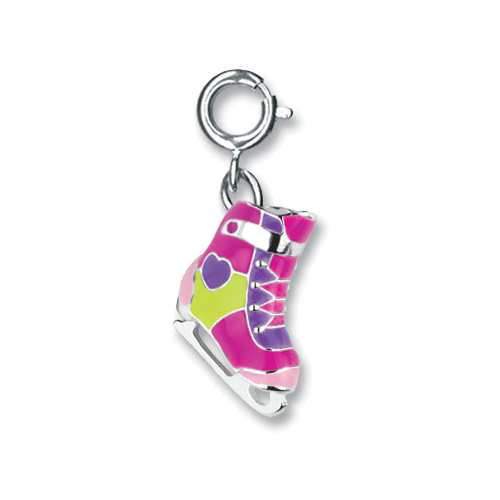 Ice Skate charm. This fun Figure Skates fabric wall art is a wonderful addition to any ice skater's paradise or sports themed room.